Finished Apr 2018. Final score: 3 / 5. I got this a good discount, and the summary sounded interesting. If you are in the mood for a slow-moving suspense with buckets of motherly heartache, this book is for you. I simply cannot imagine the pain it must feel to "bury" a child. I put bury in quotes because I find this situation even worse. A body was never found. Waiting years after the case has gone cold, the mother (Emma) fills out paperwork to declare young Aiden dead. She has emotionally forced herself to give up. Her marriage to the father never recovers from this. And then suddenly, after having already moved on to another life, the child shows up a decade later. Aiden, now a teenager, is obviously emotionally damaged. All his movements are robotic. He is completely mute, seemingly by choice. No reaction to stimulation. The extreme mental torment Emma has wishing her teenager to simply explain what happened over the past 10 years is in full display. Why won't Aiden simply tell her what happened? The cold case is now hot again, and everybody is a suspect. Throughout the book, you can really feel Emma's mental trauma. The author does not hold back. Everybody is covered: current husband (Jake), ex-husband (Rob), friends, etc. She is paranoid and frustrated. At times she's even scared of her own son. Reviewing suspense novels is very difficult. I try very hard to avoid spoilers in these reviews, detailing only events from early chapters. Every twist in a suspense novel is a potential key plot point. Therefore, I will just touch on a few things. I swear Emma is having the world's longest pregnancy. It seems she has been "just a few weeks away" for months based on all the events that has happened. Her "almost due" pregnancy did not seem to add to the story despite the frequent mention of it. I think this story would've been improved if the pregnancy was pushed to an earlier stage so her heroics would be more believable. The current husband (Jake) expresses frustration that Emma is focusing all attention on Aiden. I found myself slightly sympathizing. I think this book could have used a few sub-plots to add a bit of nuance to the story. Beyond those drawbacks, I would say this was an enjoyable story. Perhaps moms would find it more appealing. If you would like to live through a mother's worst nightmare, you should pick it up. 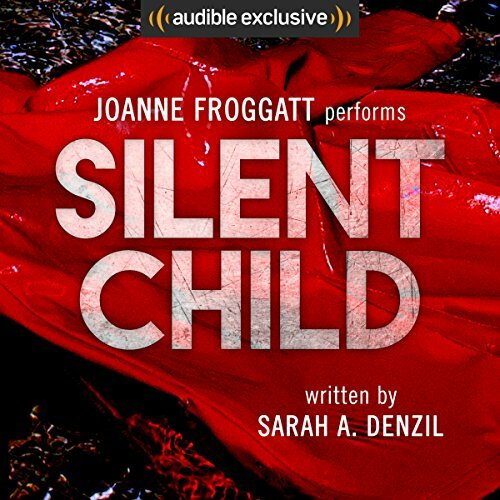 Discuss Silent Child in the forums.